PSI is an important part of power washer. PSI is the pressure that is used to get rid of tough dirt. Normally, a plain garden hose will provide 35 PSI. This unit comes with 1600 PSI. This displays the great difference in power. If you don’t mind to pay extra money, you will get higher PSI at 1900 and more accessories from ar383 review here. GPM is another important thing to discuss here. It stands for gallons per minute that the unit uses when at a set pressure. This machine has 1.5 GPM. The next thing to discuss in this AR Blue Clean AR112 review is cleaning units. This number is calculated by multiplying the water pressure by water flow. This will show how effective the unit will be at getting rid of dirt and grime. Usually, the larger the number, the more effective it will be at removing debris. 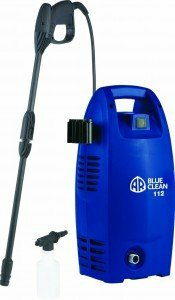 This AR Blue Clean pressure washer has 2,400 cleaning units. 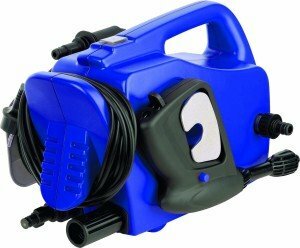 The pump is an important part of a pressure washer. This machine has a three axial piston, wobble plate pump that is made by Annovi Reverberi. This company is noted for its high quality pumps. This means that the unit will be durable and last for a long time. This model runs on electricity. 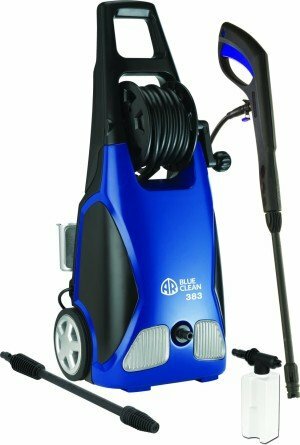 An electric pressure washer has numerous advantages. To begin, it can be used wherever there is an outlet and will not release noxious fumes into the air. This means that it is good for the environment and can be used in close spaces. Most people want to read about hose length. This unit has a 20 foot one quarter diameter hose. This will provide enough length to reach various areas without needing to move the unit. This AR Blue Clean AR112 review must mention the spray of the machine. There is a lance with an adjustable nozzle. This means that a person can switch between a thin jet and a larger fan spray setting. This explains that the unit is very versatile and can be used in multiple cleaning applications. Weight: This unit is extremely lightweight. It weight at approximately 18 pounds. This means that it can be moved very easily and the compact dimensions make it easy to store. There are various positive features to mention in this review. To begin, this pressure washer has a water filter and soap bottle to make cleaning easier. The 34 foot cord is a nice length, so there is no need to move the machine during a cleaning job. Tools are self storing on the machine, so nothing gets lost. There are also safety features to mention. There is a safety lock trigger gun to avoid accidents. There is also an auto start and stop safety valve on the unit, which prevents damage to the unit like overheating. When a person buys a large item like a pressure washer, it is helpful to understand what accessories come with the machine and what must be bought separately. Here we must explain that no accessories come with the unit. However, it may be helpful to buy specialty cleaning products for pressure washer use. There are many positives to list in this AR Blue Clean AR112 review. 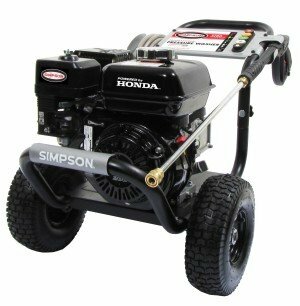 This pressure washer is one of the easiest and user friendly on the market. It is also extremely lightweight. When a person wants a portable and compact unit, this model is ideal. Despite the size, it manages to deliver a great deal of power to effectively clean surfaces like siding, patio furniture, sidewalks, or a driveway. The pump is also very efficient. It will provide years of use. Finally, this AR Blue Clean AR112 review can give a consumer peace of mind after explaining the the one year warranty. If anything goes wrong, it will be fixed or the unit will be replaced. This review has mentioned many positive features. To be fair, it is necessary to discuss a few of the negatives that some users have mentioned. For instance, some people found that the unit leaks a bit. However, this does not effect the way that the machine takes away dirt. It is important to list how well it was rated by actual users. This unit received 4 out of 5 stars, based on 96 customer reviews. This shows how most people were pleased with this power washer. This review must conclude with a discussion of price and recommendation. 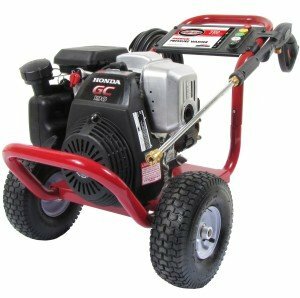 This pressure washer is extremely lightweight and compact. It is perfect for home use. The price is affordable, especially for the time it will save during cleaning. The unit is sure to come in handy for many cleaning tasks. 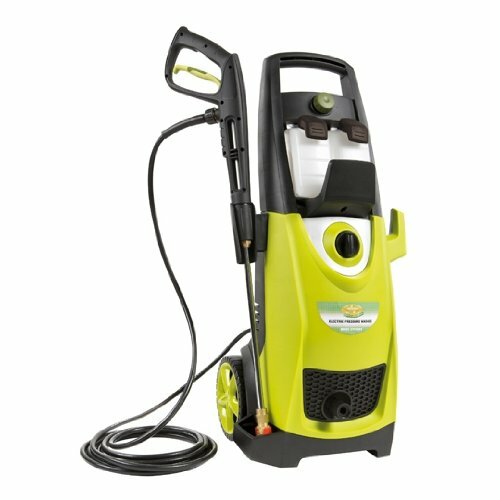 To end this review, this unit is recommended to anyone who wants a basic power washer that can handle household chores with ease.